You met someone today that you really want to see again but when you check your phone to call them or text them, you realize the contact is deleted or lost by accident. You know you saved the number and are unsure of how you could have lost it in just two hours. If this sounds familiar, please be assured that you are not the only one going through it and you don’t have to give up on meeting up with or hanging out with your new friend. Actually, when you delete contacts on your iPhone X, the iPhone sometimes will not delete the actual file, only the file marker. That’s because it takes a long time to actually wipe a file from your device completely. Therefore, with the right tool, you can actually get your missing contacts from iPhone X back. It is, however, important to remember that you can only recover the missing file if the data hasn’t been overwritten. That means you need to stop using the device immediately you discover you misplaced the contacts and find a tool to work as soon as you can. You can already guess that the tool you’ll need is an iPhone data recovery tool. 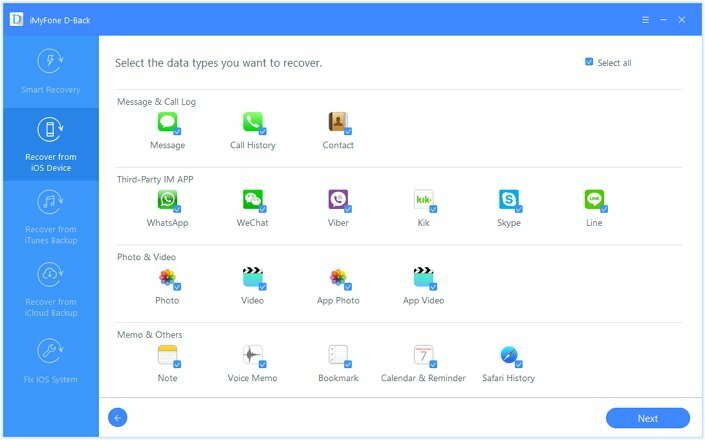 iMyFone D-Back iPhone data recovery is a professional iPhone data recovery tool to recover your missing contacts very quickly. The following are just its features that make it the ideal tool. 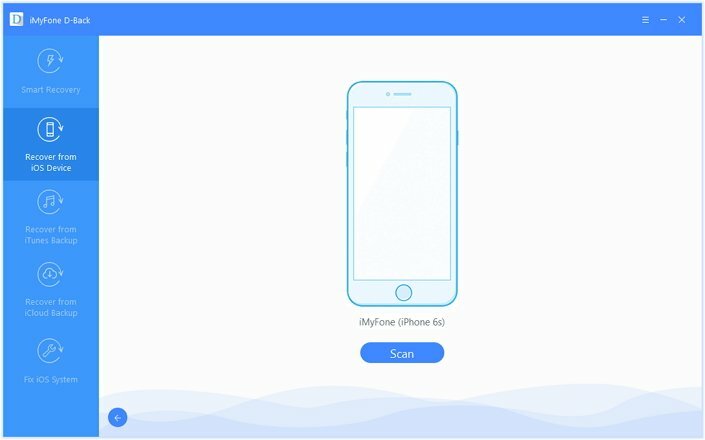 It will scan your iPhone X, iTunes backup, and iCloud backup deeply to find the hidden deleted data. You can recover up to 22 different types of data from an iPhone X including contacts, call logs, messages, photos, and videos among many others. It is also very easy to use, quite fast and safe. None of the data on your device will be at risk of loss or damage. The following is a simple way to get your missing contacts back using iMyfone D-back. To begin, download and install the program to your computer and then follow these simple steps. Step 2: Connect the iPhone to the computer using USB cables and wait for the program to detect the device. Click “Scan” once the program has detected the device and the scanning process will begin. 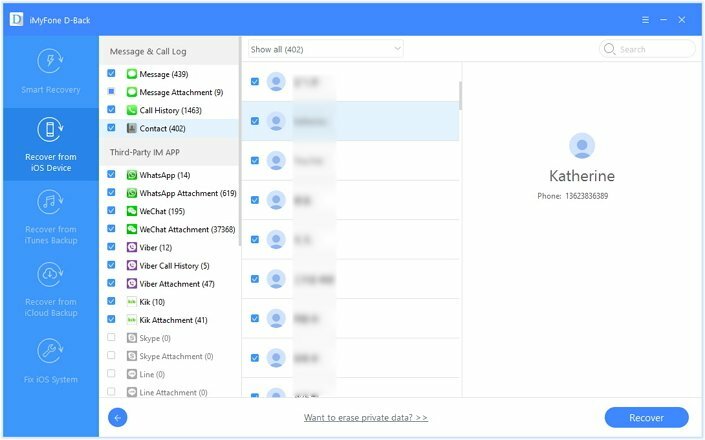 Step 3: When the scanning process is complete, you should see a list of all contacts on that device displayed in the next window. Select the contacts you want to recover and then click “Recover” to choose a location on your computer to save the missing contacts.